Just Shutters Shepperton – your longest established local shutter experts. 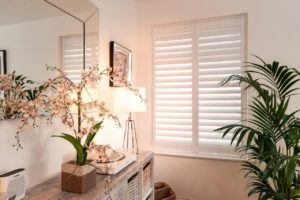 Your local shutter specialists, Simon and Georgina Broadhurst, are delighted to offer stunning Plantation Shutters to the beautiful homes of Shepperton. Just Shutters have the finest range, quality and service, complete with our market-leading lifetime guarantee. At Just Shutters, we have an absolute passion for plantation shutters and interior design. Your local experts love nothing more than combining the two. As a result, their eye for detail and focus on perfection ensures that you will have the most perfect shutters for you. Just Shutters offer the finest products in the UK. Furthermore, our products come with our lifetime guarantee and our unrivalled customer service. Contact us on 01932 500270 to discuss your plans with the team and book your no obligation home design visit.